You may think you are tapping into clean drinking water when you turn on the faucet. What you’re really tapping into is a cocktail of unwanted contaminants, deadly toxins, and organisms. Find out just a few of the dangers of tap water and why you should make the switch to filtered water below. Lead and other heavy metals can make their way into your tap water through corrosion of the pipes in your plumbing system. The consumption of lead has been linked to severe developmental delays and learning disorders in children. Aluminum and other heavy metals have been linked to nerve, brain, and kidney damage. Since chlorine kills microorganisms, water treatment facilities use it as a disinfectant. However, chlorine has toxic effects on the human body. Chlorine has been identified as a leading cause of bladder cancer. It also associated with breast cancer, birth defects, asthma, and premature aging of the skin. 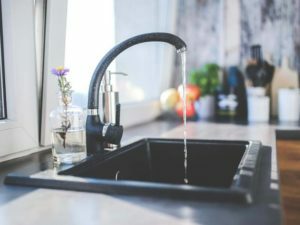 Research shows that fluoride can do more harm than good to the body, even though the U.S. government requires fluoride to be added to the water supply to prevent dental problems. Fluoride that is found in tap water has actually been shown to damage tooth enamel. It can also suppress immune and thyroid function. Recent investigations have found that certain pharmaceutical drugs have made their way into municipal water systems. Drugs ranging from birth control pills to antibiotics, antidepressants, and other medications are finding their way into our drinking water. It’s not enough to simply funnel your tap water through a basic pitcher and call it a day. In order to get as many contaminants out as possible, you’ll need a filtration method that combines advanced forms of reverse osmosis. Luckily, South Fork’s filtered water undergoes three steps of filtration, reverse osmosis, and deionization for purification, then two final steps for sanitization. This assures you a get pure, delicious, and safe glass of water each time.